There is probably no one in the world who really enjoys taking pills, but for a lot of us they’re a necessary evil. They’re also notoriously difficult to keep track of, with around 1.3 million people suffering some sort of injury from “medication errors” every year in the U.S. alone. 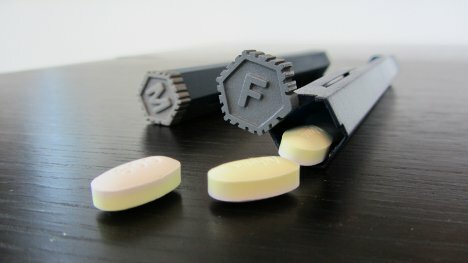 A Kickstarter project called CapsulePen will take the guesswork and much of the patient error out of the process of taking daily medications. Each capsule holds that day’s pills lengthwise, kind of like a pen-shaped version of those weekly pill boxes. You load your pills so that they come out in the order in which they need to be taken, further reducing the chance of user error. The hexagonal CapsulePens are designed to easily bundle together so that you can carry one for each day of the week. The end of each tube is conveniently labeled with the day of the week. 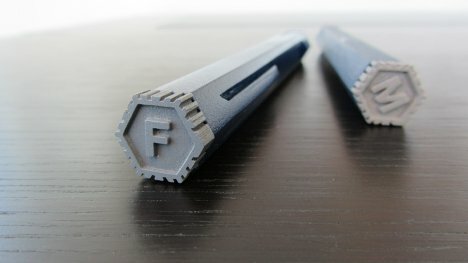 Little clips let them attach to pockets, just like ink pens. The magnetized containers can even be hung on the fridge or a filing cabinet to keep your pills in easy reach. 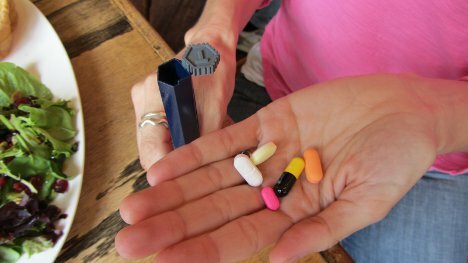 CapsulePens might not be right for people who have tons of medications to take every day, but for the average younger, healthy person, the seven-pill capacity of each tube should be enough.